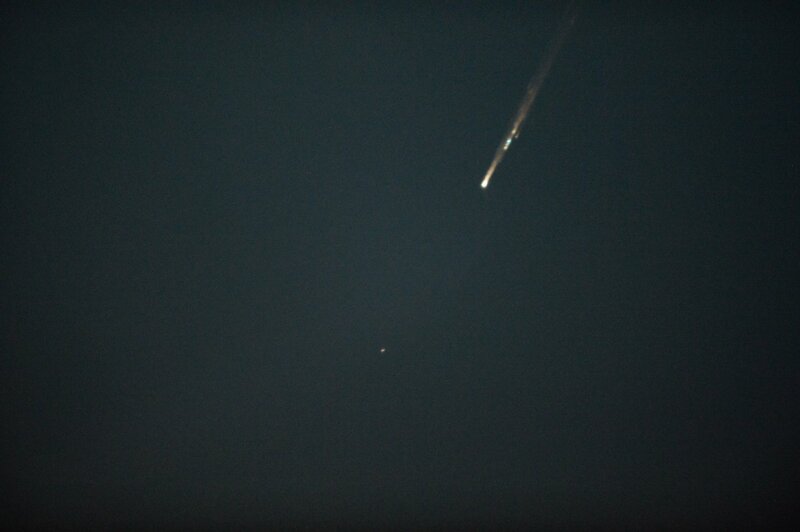 The three crew members aboard the International Space Station caught a remarkable sight Tuesday night when they captured photos of the re-entry of their Expedition 48 crew mates who parachuted to a safe landing in Kazakhstan just after sunrise. 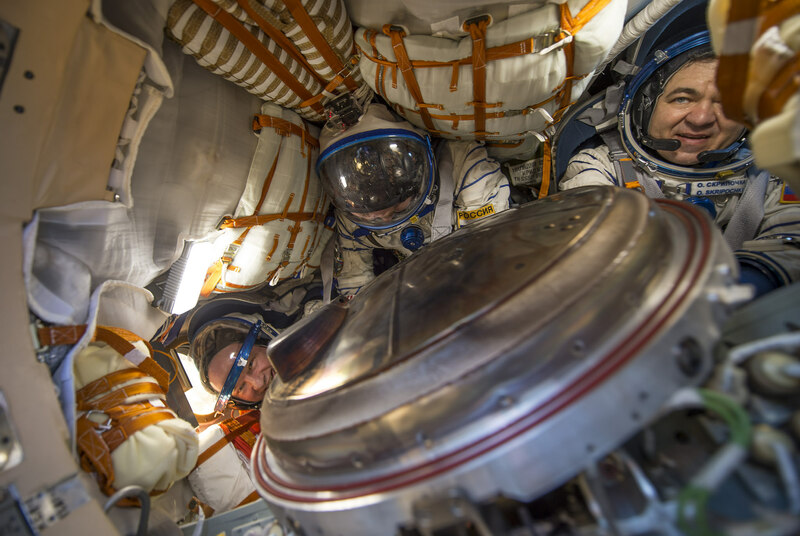 Soyuz TMA-20M and its three crew members Alexey Ovchinin, Oleg Skripochka and U.S. Spaceflight record holder Jeff Williams wrapped up a 172-day mission when they departed the orbiting complex at 21:51 UTC to head toward their South Central Kazakhstan landing site. 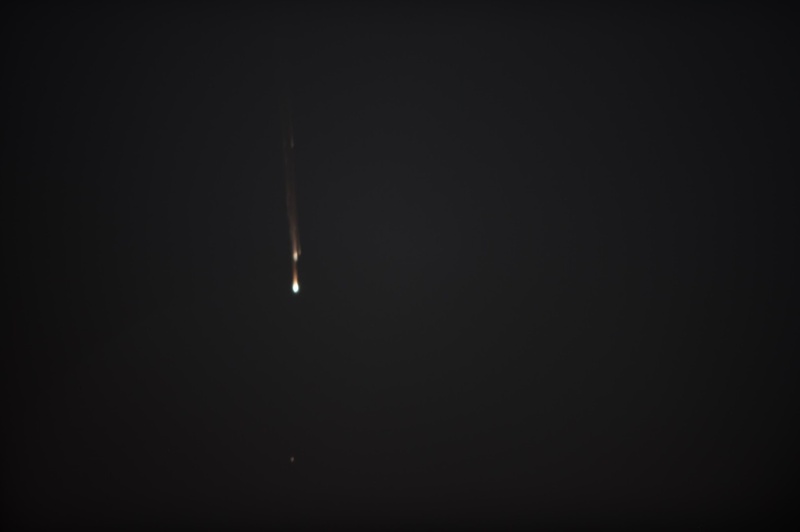 After undocking, Soyuz opened up a gap to the Space Station before firing its braking rocket to slow down and place itself on a sub-orbital path, intercepting the atmosphere at a precisely calculated location. Following the completion of the deorbit burn, the disposable modules of the Soyuz separated and the crew was set for a blazing return to Earth inside the small 2.2 by 2.2-meter Entry Module. 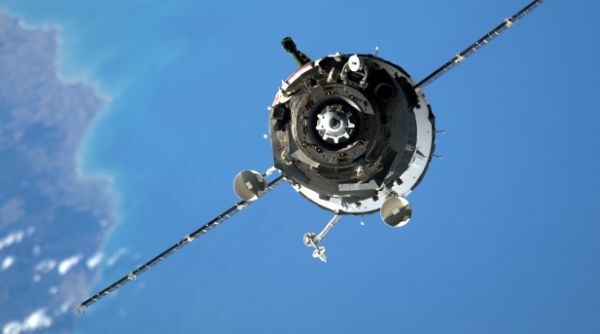 Aboard the Space Station, the Expedition 49 crew of Anatoli Ivanishin, Kate Rubins and Takuya Onishi stayed awake to monitor the homecoming of their friends and colleagues. 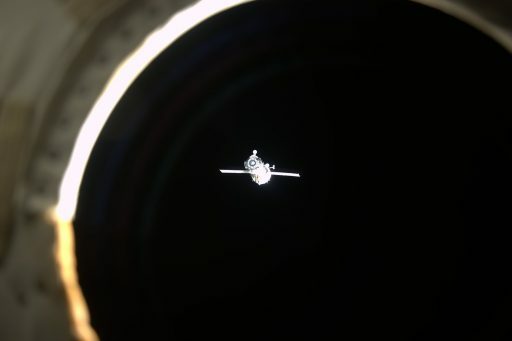 Positioned inside the Station’s Cupola, the crew was taking advantage of the panoramic windows to spot the Soyuz spacecraft as it began to fly toward the sunrise. 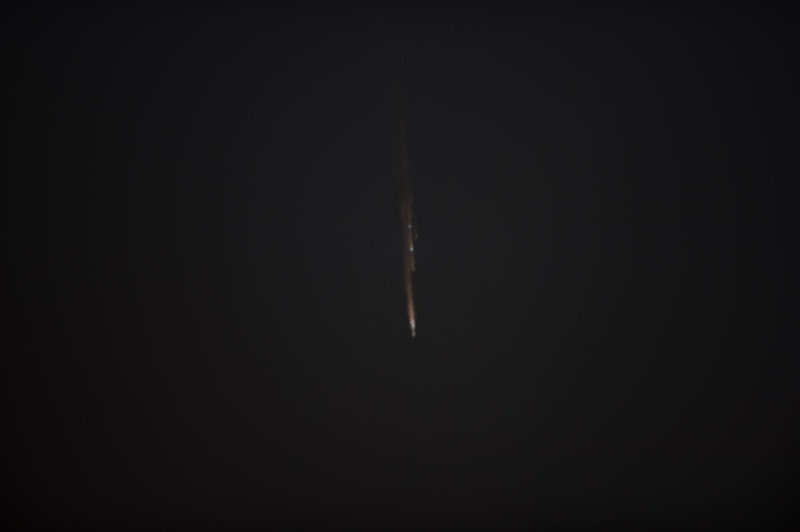 Re-Entry started over northern Iraq at precisely 0:51:23 UTC when Soyuz descended through 100 Kilometers in altitude, still immersed in the dark of night. 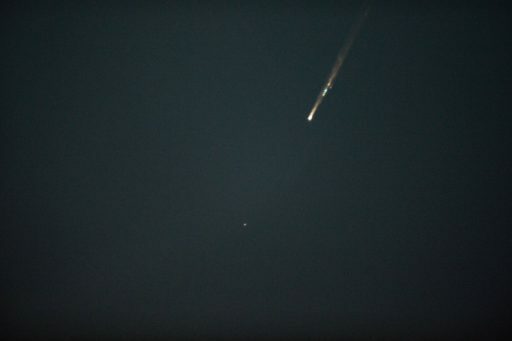 At that point, the Space Station was trailing the Soyuz in an orbit 400 Kilometers in altitude, but as Soyuz was slowed in the atmosphere, the Station caught up, offering the crew a straight-down look at the re-entry of the Soyuz. 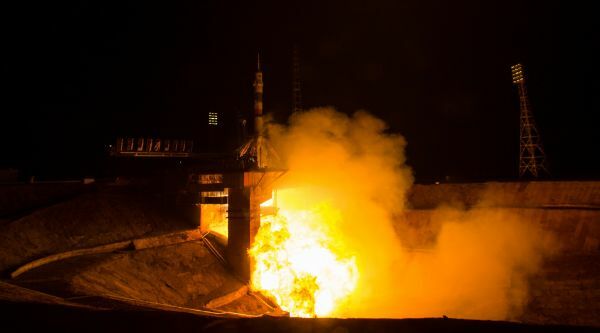 Soyuz crossed the 80-Kilometer mark over the Caspian Sea and plasma started building around the small Entry Module which – due to its aerodynamic shape – had pulled out in front of the discarded Service and Orbital Modules. When the Entry Module started to feel the heat, the Orbital and Service Modules also slammed into the atmosphere, but unlike the small return capsule, headed into a quick destructive sequence. 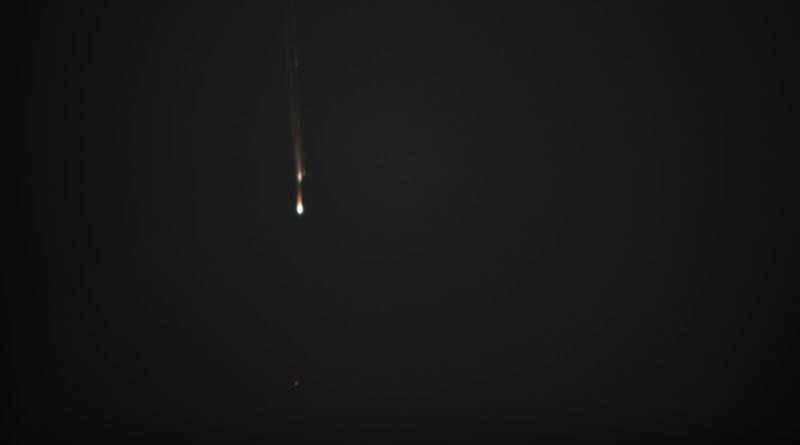 Photos captured by the ISS crew show the Entry Module immersed in plasma as a small dot flying well ahead of the disintegrating Orbital and Service Modules, breaking apart with a visible plasma and debris trail. 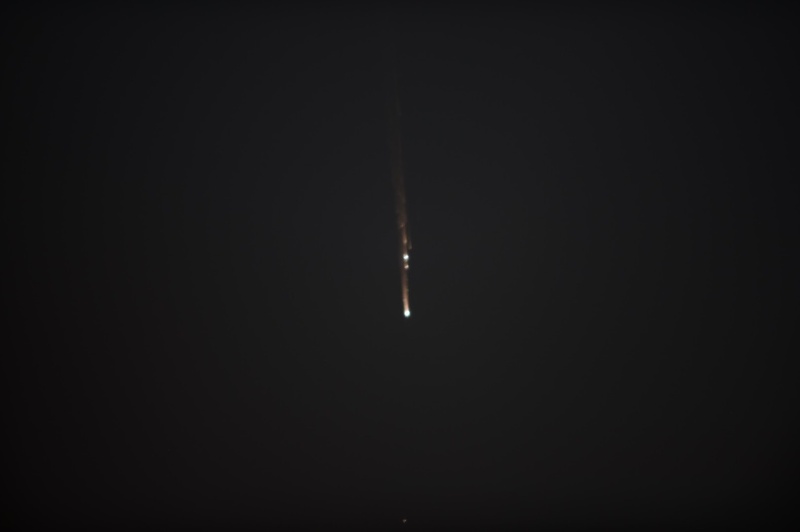 While Soyuz guided itself to an on-target landing in the Kazakh steppe, any remains of the Orbital and Service Modules impacted around 830 Kilometers short of the landing site. Touching down in the morning haze at 7:13 a.m. local time (1:13 UTC), Soyuz closed out a flawless mission – the last of the TMA-M variant that is making room for the improved Soyuz MS series. 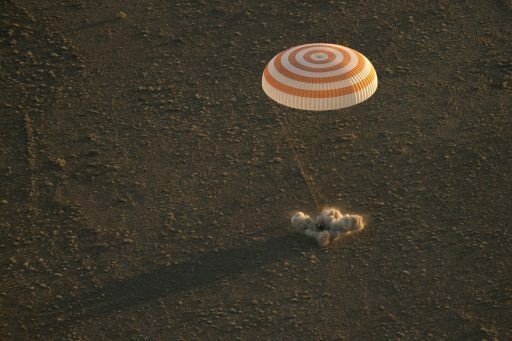 Recovery teams arrived at the landed spacecraft within a few moments and assisted the three crewmen out of the capsule – all appearing in very good shape after enjoying a breath of fresh air for the first time in over five months. 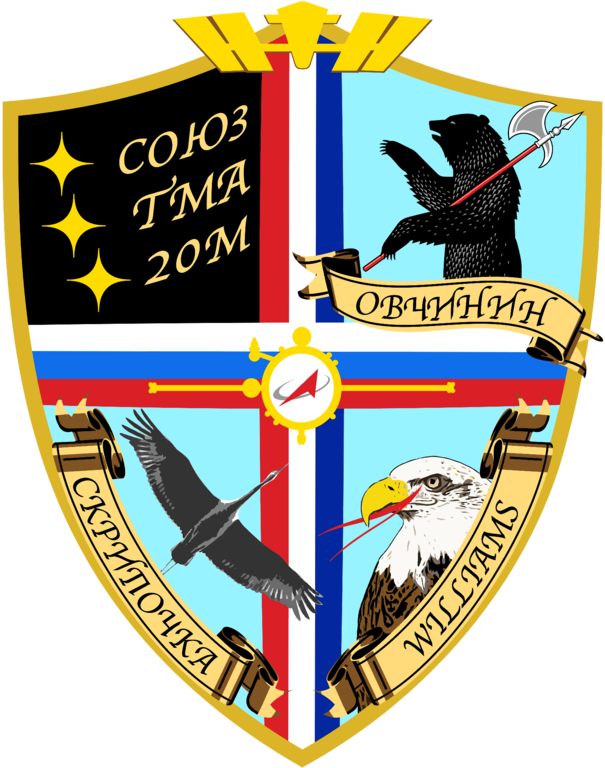 The crew was flown to Karaganda where a short welcoming ceremony was held before Williams boarded a plane back to Houston and the two Cosmonauts returned to Moscow for several weeks of post-landing activities. 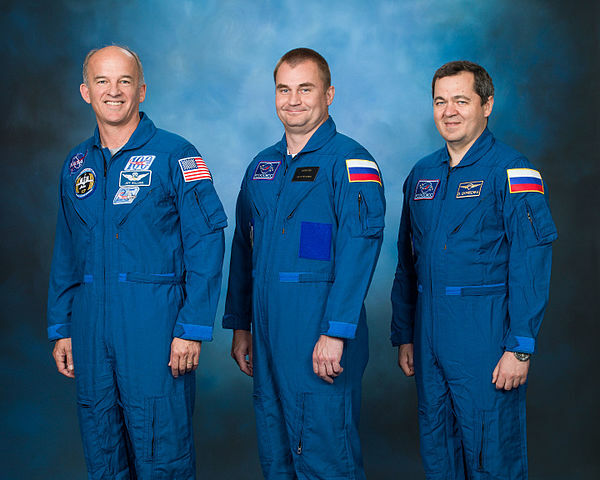 Copyright © 2019 Soyuz TMA-20M | Spaceflight101. All rights reserved.